One or more photo(s) has been virtually staged. 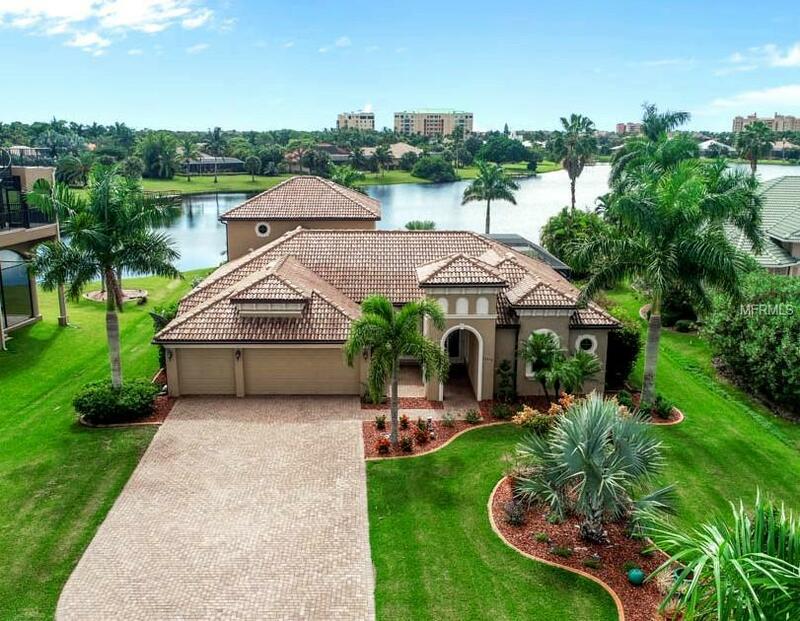 Desirable two story gated 2007 estate home is nestled on the north edge of the highly sought-after Soundings Lake at Burnt Store Marina. 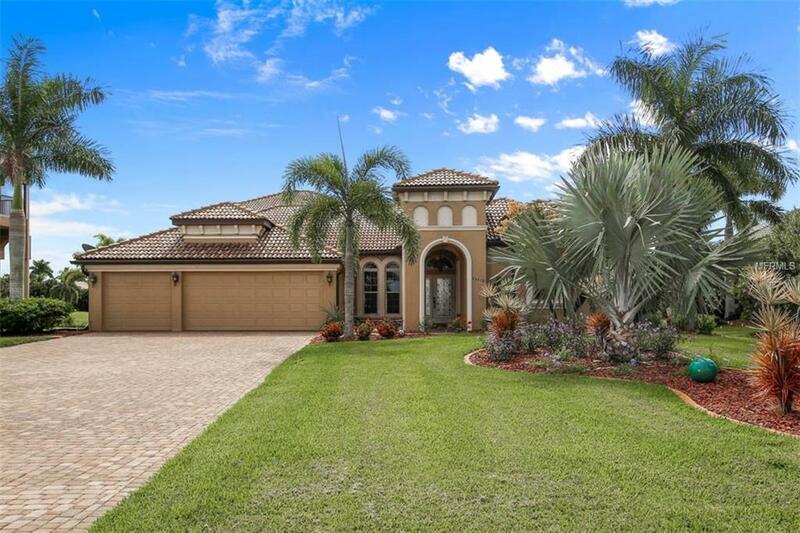 Experience a true sense of arrival as you drive through your private gated entry to the long paver drive flanked with mature vegetation & attractive neighboring homes. 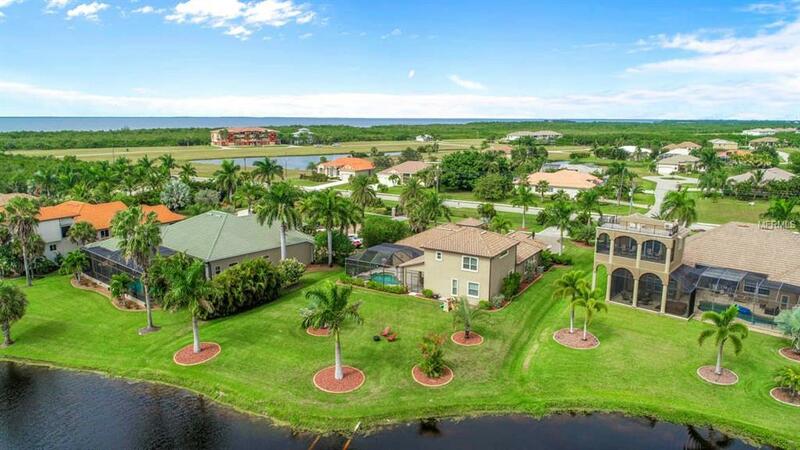 Peace & tranquility abounds from this 4 BR + den residence situated on a southern facing 2/3 acre fee simple lakefront lot. A flexible living room/family room plan with 10' ceilings offers plenty of seating & dining options. 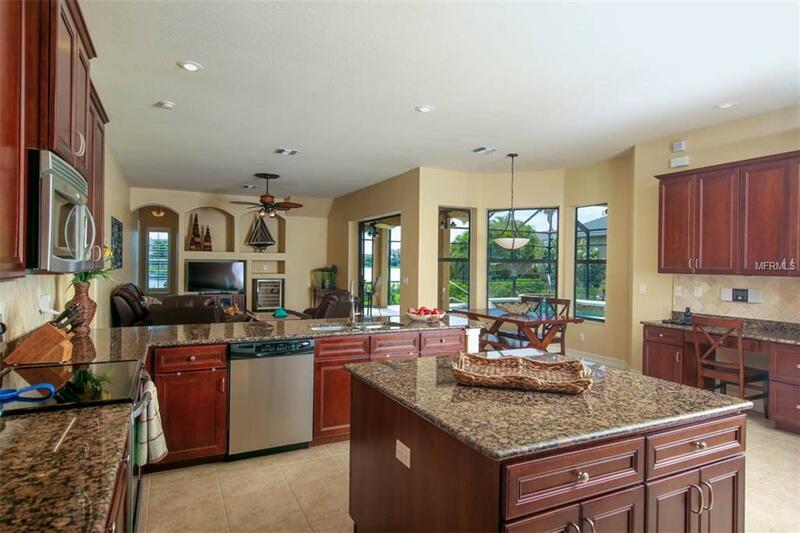 The vast open kitchen is perfect for entertaining as the chef can stay connected as they whip up a culinary delights. Neutral granite extends across ample workspace, including an oversized center island & separate desk area. Cherry raised panel cabinetry, with tall 42 uppers offer plenty of storage for your favorite serving pieces. Sliding doors from the light & bright master suite will lead you to the pool & lake. The room features a tray ceiling accentuated by crown moldings, & an ensuite bath with dual vanities & cosmetic station with granite tops, tiled shower, garden bath & walk-in closet. The roomy upstairs could easily be used as a guest suite, exercise room, home office or all of the above! Enhanced with impact windows & doors , new fridge, washer/dryer & new a/c within past 3 years. Enjoy splashing around in the pool or relaxing in the inviting spa, or simply lay back & luxuriate in tranquil lake views featuring native Florida wildlife & fiery west coast sunsets! Additional Lease Restrictions Please See Hoa Docs For Leasing Restrictions.